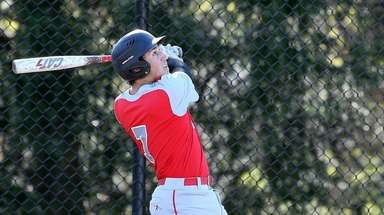 Ian Laviano paused as he stood on a field at a lacrosse showcase event last summer to take a look at the level of talent that surrounded him. At that moment, the Cold Spring Harbor sophomore attack felt the need to reflect on where he was at in terms of lacrosse skill (which was a pretty high level), where every other player near him was at in terms of lacrosse skill (which was also a pretty high level) and what he needed to do to maintain his status as one of the best high school players in the country. The bit of introspection on that day, Laviano said, was a product of hearing these words by more than a few college coaches and scouts: "Your class, the graduating class of 2017, could be the best one seen in quite a few years." Surprised to read that? You probably shouldn't be. Laviano is already a three-year varsity starter who verbally committed to Virginia after his eighth-grade season -- and he's just one of several standout sophomores on Long Island who already have impressive resumes and are set to make an even bigger impact this season. Laviano, who had 28 goals and 13 assists last season, isn't even the only sophomore on Cold Spring Harbor to have committed to a big-time Division I program. Midfielder Matt Licciardi is verbally committed to Cornell. 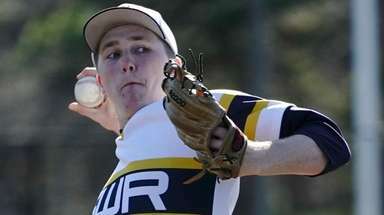 As fascinating as it is to learn of a high school kid choosing a college at such a young age -- and being good enough at a sport to be in position to do so -- across Nassau it isn't exactly rare. Manhasset's Jack Keogh is verbally committed to Johns Hopkins and Ben Cirella has said "Yes" to Michigan. 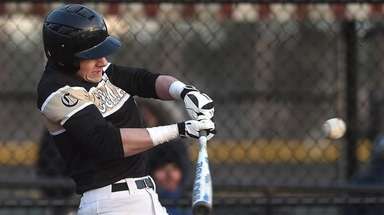 Garden City's J.P. Basile is verbally committed to Duke. It's even more prevalent in Suffolk. 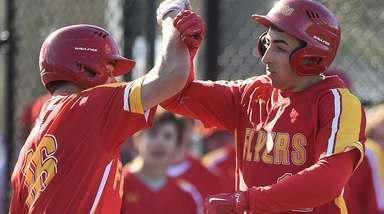 Smithtown East's Connor DeSimone (Johns Hopkins), Sayville's Jack Coan (Notre Dame), Northport's Connor Cronin (Michigan), Sachem North's James Avanzato (Maryland), Commack's Kevin Snyder (Maryland) and Half Hollow Hills West's Cam Mule (Duke) are all verbally committed superb sophomores. Welcome to the world of boys varsity lacrosse, where being an upperclassman is no prerequisite to playing time. And once these players get the chance to play on varsity, they are making an impact, often despite being at quite a size disadvantage. So, why are these young players thriving? "It's because you don't have to be the biggest guy on the field. You can come in as a freshman and be the most skilled player on the field. 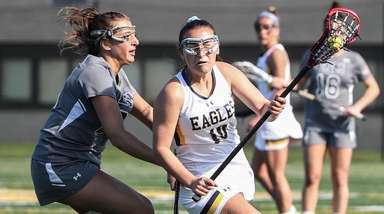 It's all about your stick skills being up to a high level," said Mule, who burst onto the scene last year with an astounding 33 goals and 31 assists and then promptly verbally committed to Duke last summer. "Lacrosse is unique," Keogh said. "You can have a kid who is younger and he could turn out to be the best player on the field. You don't need to be 6-4 or whatever. It's all about stick skills and knowing the game. Now, we all get coached at very high levels before coming into high school. Guys are hungry at young ages and good coaches and hard work get them to where they want to be." That's not to say what some of these players accomplished as freshmen came easily. 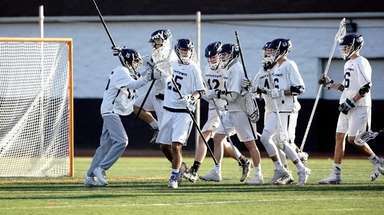 "I was a boy playing against men," said DeSimone, who, as a role player, helped Smithtown East capture its first Suffolk Class A boys lacrosse title last season. Smithtown East coach Jason Lambert said he expects DeSimone, who had 17 goals and 14 assists last season, to have a bigger season in an enhanced role. DeSimone, like many other sophomore lacrosse players on the Island, said he's up for the challenge. "I definitely have to take on a bigger role this year, shoot on the run, shoot through a double-team and be able to go for more goals," DeSimone said. "I'm getting chills right now just thinking about this season."